Human quest for super car is never ending story and the further developments are being carried out in the world to get the fastest car on the earth. The fastest car with electric vehicle is going to be an ideal combination in future as it helps our environment and also keep our pleasure alive. 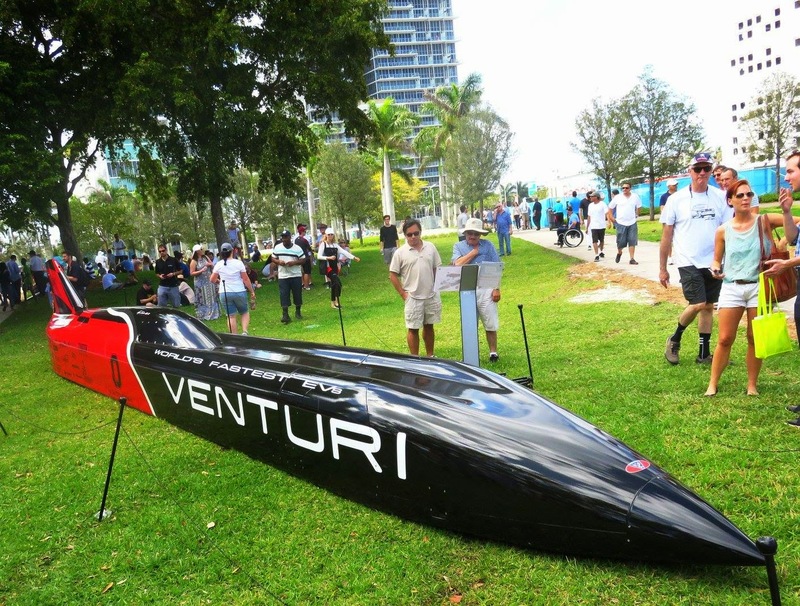 A collaboration of French founded automobile company ‘Venturi’ with engineering students of Ohio State University in 2009 has resulted in the world’s fastest electric car ‘VBB-3’ and the Venturi Buckeye Bullet racing team. Venturi is the current holder of the Electric World Speed record, with 307 mph and aims to go further next September. A four-wheel drive, the length of the VBB-3 is more than 11 meters and has horsepower of 3,000. A parachute is required to stop the car! Topping at a speed of 600 kph, the Venturi Buckeye Bullet 3 (VBB-3) breaks its own previous Guinness world record of fastest electric car at 495 kph. 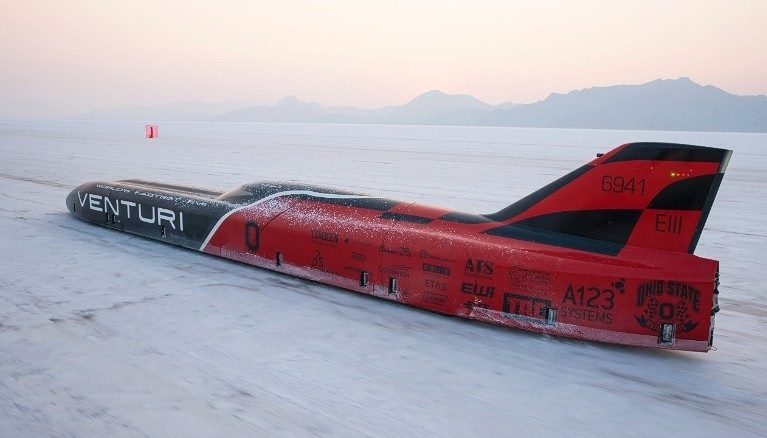 It combines two things – Land Speed Records and Electric Vehicles. With nearly 3,000 hp (2 x 1,500 hp), the 3rd generation of Venturi VBB will be the most powerful and fastest electric vehicle ever built. Driving instructor at the Transportation Research Center (TRC, Ohio) for over 30 years, Roger Schroer is the official driver of the Venturi Buckeye Bullet Racing. With VBB-3, Roger Will Join The 7 Drivers Of The Very Elite 400 Mph Club To Have Set A FIA Speed Record Over 400 Mph (640 Kph). The crowd funding campaign of Venturi VBB-3 is currently live at Kickstarter for a goal of €50,000 and still 28 days to go! 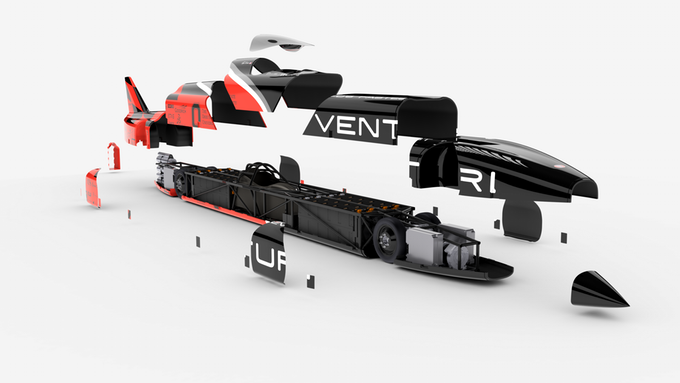 Venturi’s Delphine and team composed of 20 people, engineers and students aim to beat the FIA World Speed Record for battery powered Electric Vehicles of over 7000 pounds. 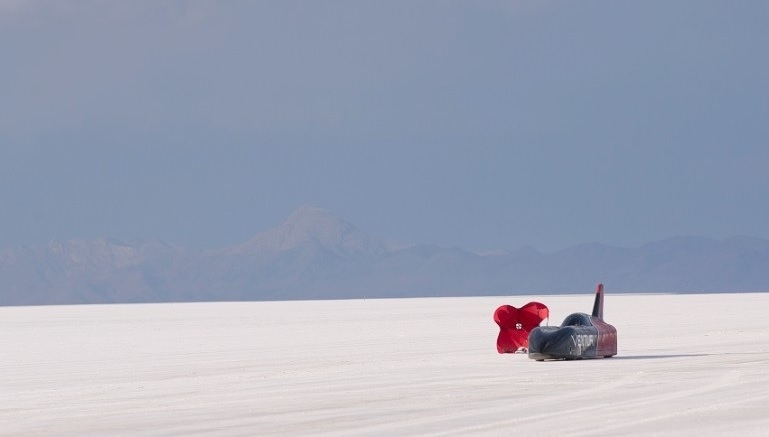 The team will be on the Bonneville Salt Flats for 20 days next September. The Kickstarter campaign is to support the logistic cost of the team. You can support by contributing at Kickstarter and help them to achieve the record.